Two songs featured prominently on the playlist on my handphone as well as my laptop this month. And no, they are not Mariah Carey's songs, which of course are still on heavy rotation... on my laptop, that is. Oh, by the way, Mariah's latest single, "I Stay In Love" is wonderful! I have listened to this song for many months now and still have not get bored with it! Too bad the original MTV video is not allowed on YouTube at this moment in time, otherwise I would have put it on my blog here. Well, you can still watch it at Mariah Carey's official website. Recently, I fell in love with two songs, which I want to share with you all today. I love these two songs so much I even went to buy the albums! The first song is Jason Mraz's "I'm Yours". I know, this is not exactly a new song - it was released in May 2008 - but I did not really pay attention to it until recently when I heard it at Keeyit's blog. Listen and watch the video below. I like Jason's unique voice and I just love the way he sings this song! It's the perfect song to unwind and also very suitable for the holidays. There are many other nice songs from his latest album "We Sing. We Dance. We Steal Things" but this is my top favourite. He also did a duet with Colbie Caillat with a song called "Lucky". Beautifully sung! I bought this album at Popular store in Ikano Power Centre yesterday and guess what? They gave me a free T-shirt. Cool! Back side of T-shirt with the words "Jason Mraz" printed on it. Unfortunately, the T-shirt is of XL size, which is way too big for me! Well, any fan of Jason Mraz here who wants the T-shirt? Let me know, yes? The other song I absolutely love is Jay Chou's "Fragrant Rice" or "Dào Xiāng" in Mandarin. I first heard this song on QuaChee's blog. For your information, I don't speak Mandarin and cannot read Mandarin words, although I'm trying to learn. But that did not stop me from enjoying this song! For the benefit of those who don't know Mandarin like me, here's the YouTube video with English subtitles so that you know what he is singing about! In fact, I love this song without even knowing the meaning of the lyrics but after seeing the English subtitles here, I realize what a meaningful and touching song this is. Wow! Jay Chou wrote the lyrics and the music to this song. Is he super talented or what? I find the syncopated rhythm of the chorus part simply infectious!! Listen to it and tell me if you don't feel the same! This song comes from Jay's latest album "Capricorn" which I bought together with the Jason Mraz album. I have not finished listening to the other tracks yet so cannot comment on them. But from what I heard so far, I think it's an album worth buying! Well, if you are huge fan of Jason Mraz or Jay Chou, go get the albums! You can be sure these two songs will dominate my weekend music playlist. What can I say but move over, Mariah! Well, at least for now. P/S : Oops! My brother's friend had taken the Jason Mraz's T-shirt at the time of writing. Very sorry, guys! I agree..there's a carefree holiday feel to the song. Colbie sings one of my fav songs...which i can't remember the title but has the words "if you only realize...dah dah...i really like her voice :) Have a great weekend! 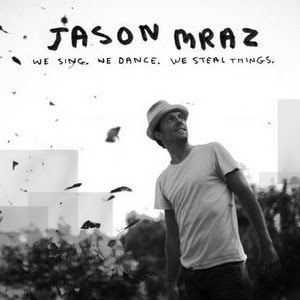 I love reggae (besides rock) so this number by Jason Mraz's is my current reggae favourite. You might have noticed that the video has been on my side bar for awhile now and also on this fun recent post. LOL! Foong, so sweet of you to give away that t-shirt. You made someone's day. 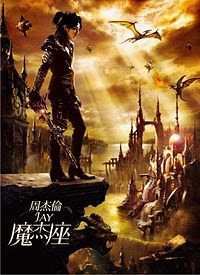 Thanks for the link on Jay Chou's music. Will have to check that out. Haha... I like those 3 songs mentioned too. That T-shirt is so cool! I can't wear XL, probably for my son. haha... My son is a Jay Chou fan. I've never heard of either of them. I love Nickelback though, have you heard of them? I can wear XL. I want! Haha. khengsiong, well now you know what a playlist is, what songs are in your playlist? faisal admar, wow! Looks like you are a fan of Jason Mraz! I like a lot of the songs in his album - it's really worth buying. mariuca, ok, will drop by your Music Monday.